With network of over 50 partners in and outside of Iceland and strong know-how, we are providing project planning and execution, commisioning, staff training and consulting. An international consulting firm offering comprehensive engineering, management, operational and EPCM services. Over the last 50 years, the company has been involved in a wide range of projects in the commercial fishing industry, and has gained significant experience and know-how in this specialized field. Also, company offers engineering, procurement and project management services in fishing industry. 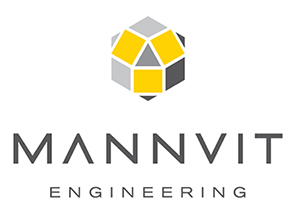 Mannvit has experts across most engineering disciplines, with direct project experience in geothermal, construction, transportation, renewable energy, infrastructure and other industries. For more than 20 years, Samey has been helping companies worldwide to increase productivity and cut operational costs by providing effective software, mechanical, and complete robotic and automation solutions in food and non-food related industry. Full range of services, from design to installation, adjusted to client’s needs have been provided in palletizing, packing, fish drying and other areas. The largest processor of by-products from fish processing in Iceland. It was founded in 1999. The main pillar operations are fish meal and fish oil production, where enzyme technology is used to convert intestines into valuable products. With two production facilities in Iceland, Haustak team has around 50 people. Major export markets are Africa and Scandinavia. The technological development that has taken place at Haustak in the last years has made the company second to none in terms of combination of R&D being run parallel to its core production – fish drying. Networking company offering unique solutions by joining different partners in ocean related industry. Iceland Ocean Cluster started as a research project in the University of Iceland, but the company was officially established in 2011. Company has been rapidly growing in the last years in the field of cluster developing, innovation and consulting. Factory specialized in total utilization of North Atlantic cod fish by producing dry fish, canned fish, fish oil , fish meal, the first class byproducts and enzyme extracts.